The inaugural function of the B.Ed., classes for the academic year 2018-2019 was held in Paavai College of education premises on 06-09-2018 thursday at 11.00 am. 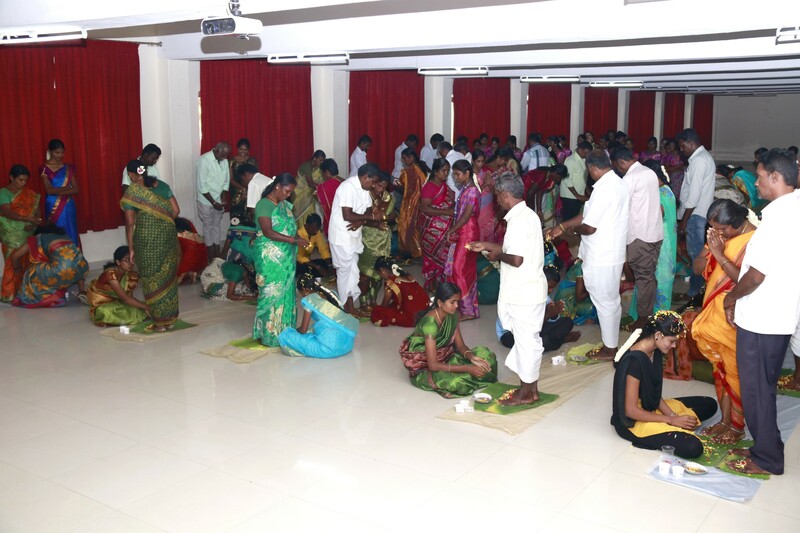 The principal of Paavai College of education Dr.N.Kodeeswaran, extended a warm welcome to all new comers. 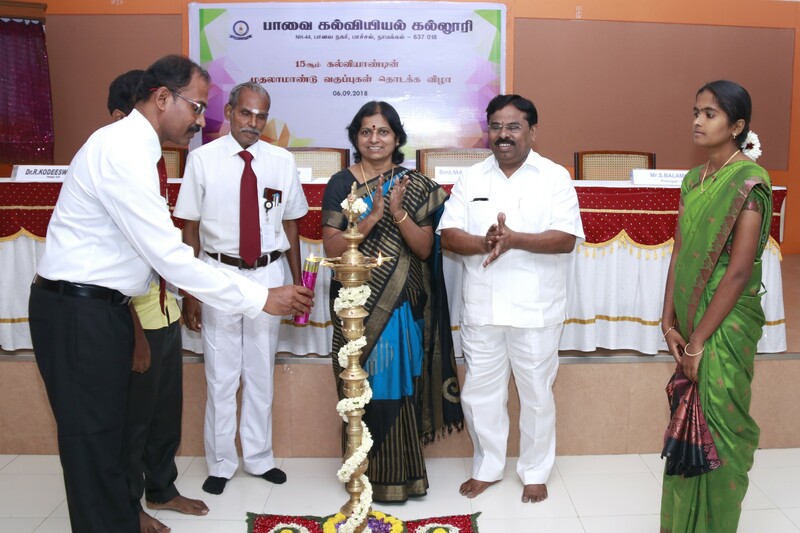 Mrs.Mangai Natarajan, the correspondent, Paavai Institutions lighted the kuthuvilakku marking the start of the function. 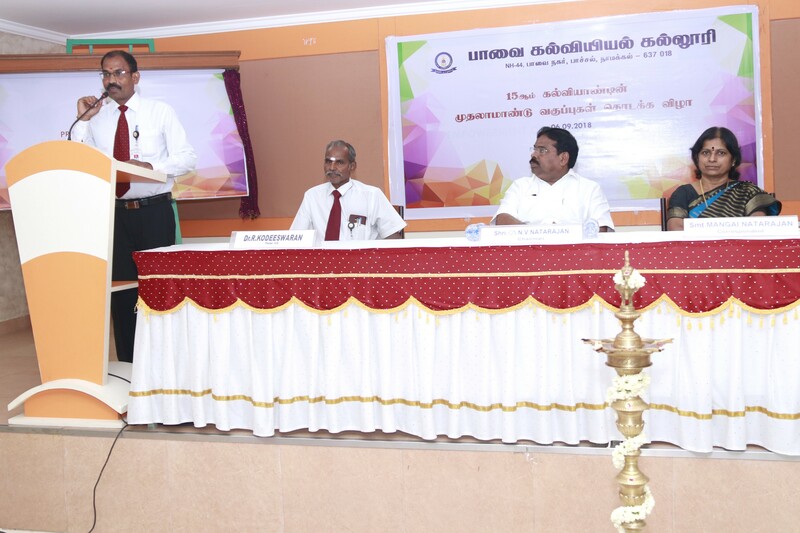 Shri.CA.N.V.Natarajan, the chairman, paavai institutions presided over the function. 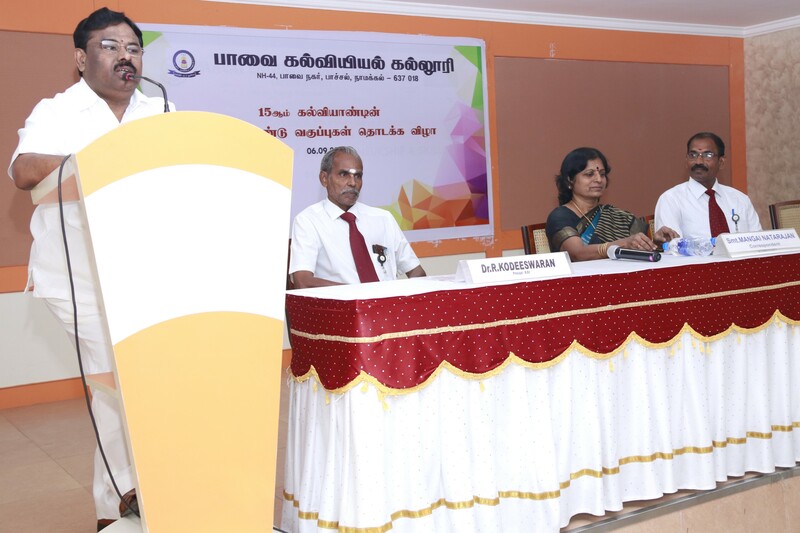 In his key note address the chairman focused his attention appealing to all the students of Paavai institutions to be prepared to take up challenges, be voluntarily involved in social work and come first in every phenomenon. He also requested the student teachers to be the role models for their every student. 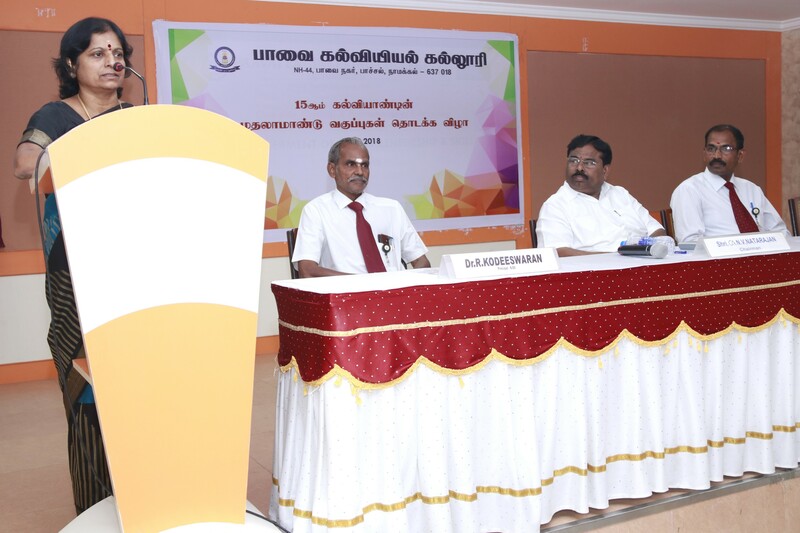 Mrs.Mangai Natarajan, the correspondent, Paavai Institutions delivered the special address to the student teachers. She gives inspiring speech on the “role of an ideal teachers” and insisted that all teachers to be ideal in their life in all aspects and she asked the student teachers to prepared and accept all the views of parents to achieve their goals. 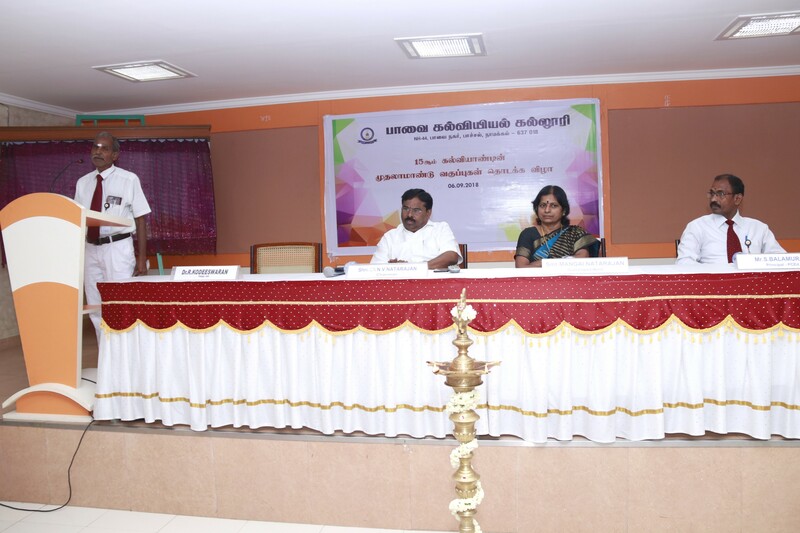 The chairman introduced all the lecturers to all student teachers and parents in the inaugural function. 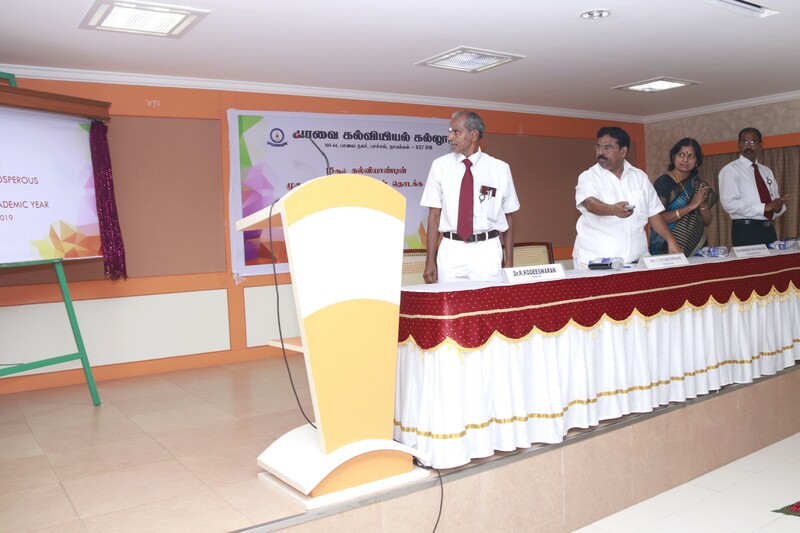 At the end Mr.S.Balamurali, vice principal, Paavai College of education proposed the vote of thanks.